Johnson & Company, is a leading Cork City law firm with a fresh, energetic outlook and approach that provides legal expertise. Our Practice was founded in 2008 and continues to grow on the basis of a client-focused service that is based on providing proactive advice to the highest of standards. We offer the following legal services at reasonable fees for individuals and businesses. Johnson and Company were my representation for a Family Law case. Their guidance,support,and advise, was most reassuring. I would have no problem recommending them. I would like to thank you for all your help over the past few months in order to make the purchase of my first home happen. I would definitely recommend Johnson and Company Solicitors for their professionalism, attention to details, and ability to reach deadlines. I used Johnson Solicitors when buying my home and I found them to be most efficient. Every part of the process was carefully and thoroughly handled. I found them to be keenly priced and easy to engage with. I couldn’t recommend them highly enough. In my dealings over the past few years with Daniel Johnson, Johnson and Company, Solicitors, I have enjoyed expert advice, prompt and courteous service, and a willingness to go that extra mile to ensure that my issues were resolved quickly and professionally. Head south on Grand Parade/N22 toward St Augustine St (0.3 Km). Continue straight onto Grand Parade/R848 and follow R848 for 0.4 Km onto South Mall St/R610. Continue to follow R610 for 0.1 Km and turn right onto Parnell Pl and then onto Anglesea St/R610. Continue to follow R610 for 0.2 Km and turn left onto Ballinlough Rd and it will be on the right. 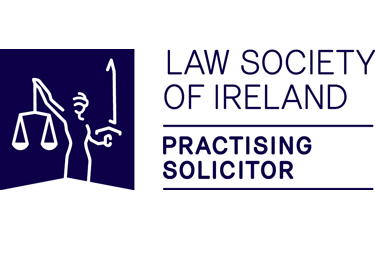 ©2019 Johnson & Company Solicitors. All Rights Reserved. Powered by Pietas.